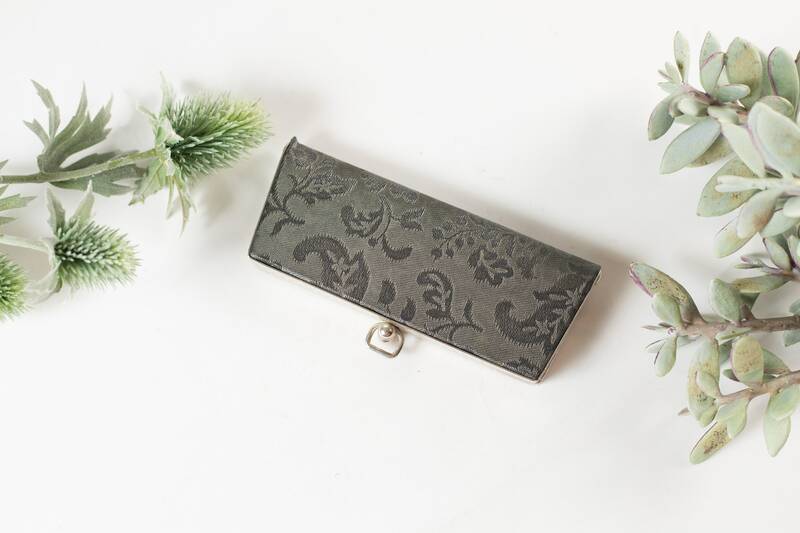 This is a fabulous small grey coloured brocade pattern eyeglass case with a snap closure and an a-line shape. Has a rockabilly / art deco feel. 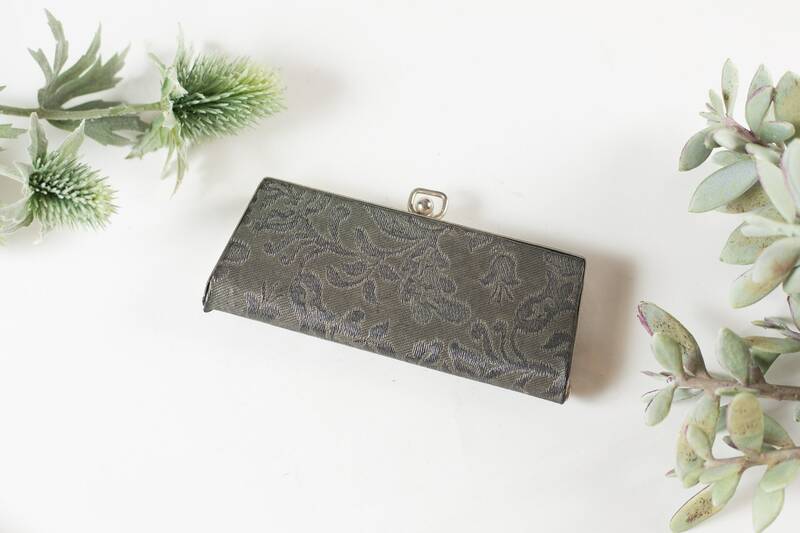 It makes a great wedding or prom accessory. Also makes a great gift for mother's day! 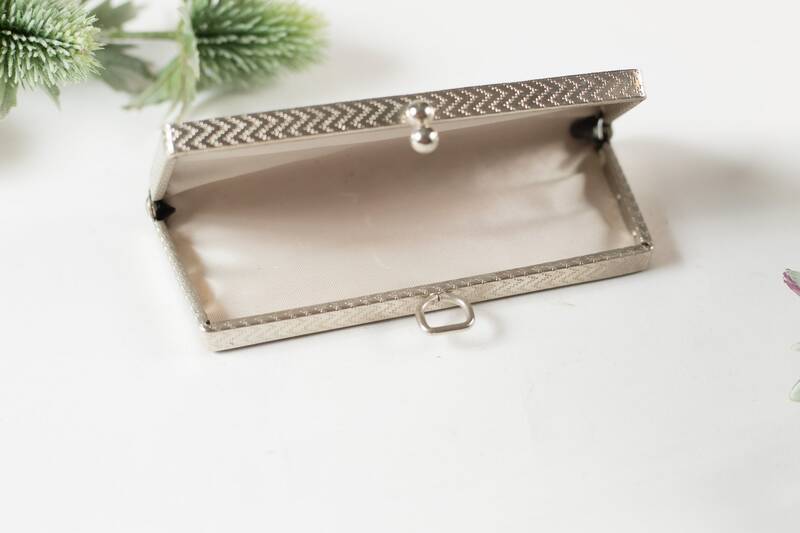 It fits a small pair of spectacles or small pair of sunglasses. The glasses are for display only. They are not included in the sale. 6 x 2.5 inches without handle. Great condition. See photos for condition.